← Another fabulous SeaDream golf cruise in the Caribbean, 7th to 14th February 2015! Bermuda is a gorgeous place for a relaxing holiday and it is also a great place for golf, with 9 courses on these tiny islands in the middle of the Atlantic. We are very pleased to offer this holiday which includes a few days to settle in and play a practice round or do some sightseeing, before a fun mixed couples golf tournament which starts with a Rum Swizzle party on the evening of 1st November 2015. These tournaments are very popular and great value and you will be staying at the delightful Pompano Beach Club which is right next door to Port Royal Golf Course. This is where the PGA Grand Slam of Golf has been played in recent years in October, and Port Royal is one of the courses that we will be playing. The tournament will take place over four rounds of golf. We are particularly excited about this November’s tournament as we will be playing Bermuda’s top three courses: Port Royal, Tucker’s Point and Mid Ocean! What a great opportunity to play these wonderful courses in such a stunning location. Prices are from £2542 per person for this 11-night holiday, departing from London Gatwick on Thursday 29th October 2015. Included are 10 nights at the Pompano Beach Club on a half-board basis with return economy flights with British Airways from London Gatwick, airport to hotel transfers, ATOL protection, travel disruption insurance, golf tournament with green fees, buggies and transfers, Rum Swizzle and final night cocktail parties, prize ceremony and golf club carriage on the flights. Please note that prices vary over time and contact us for up-to-date details. For premium economy (BA’s World Traveller Plus), prices start at £2889 per person. For business class (BA’s Club Class), prices start at £5210 per person. and these prices are based on economy (World Traveller) flights. Prices are correct as of early February 2015. Please enquire for more information on the golf tournament and room upgrades on 01276 514664 or email info@fairwaves.co.uk. This is Pompano Beach Club with Port Royal Golf Course right next to it. The perfect location and simply stunning! We have full details of the tournament format and there will be prizes for the overall winners as well as prizes for each day’s winners. There will also be longest drive and nearest-the-pin competitions each day. The tournament will be run over five days: two days of golf will be followed by a rest day which will be followed by two more days of golf. For additional nights or different dates, please enquire about prices. The golf tournament is from 1st to 7th November 2015, so you should be at the hotel by 31st October and the earliest you should depart is 7th November. Bermuda is a wonderful holiday destination. It has the world’s highest number of golf courses per square mile and is renowned as a stunning golf destination. Many consider November to March to be the best time for golf in Bermuda as it gets hot and humid in the summer. Tiny pieces of coral give the beaches a pink hue and the sea an amazing turquoise colour. Houses have white rooftops (for collecting rain water) and they have to be painted a certain colour, ie pink, blue or green. All in all, it is a beautiful archipelago and this would be a fabulous holiday with some fun golf. If these dates don’t suit you or you are simply interested in a holiday in Bermuda, with or without golf, please contact us as we can offer other hotels all-year round. Please ask us for more details. For more information and reservations, please call 01276 514664 or email info@fairwaves.co.uk. Also, please forward these details to your friends and fellow golfers as we are sure that this will be a very popular holiday. 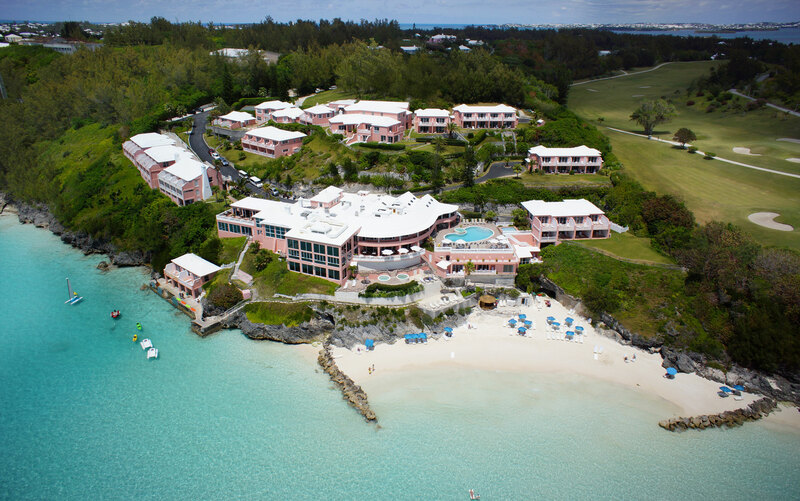 This entry was posted in Bermuda, golf holiday, Pompano Beach Club, Bermuda, Port Royal Golf Course, Bermuda, Riddell's Bay Golf Club, Tucker's Point Golf Course, Uncategorized. Bookmark the permalink.